But nothing – NOTHING – could have prepared me for the reality of this surgery. It’s like they knew nobody in their right mind would go through with it if they had told the truth. So, in the spirit of patient education and the level of honesty I put forward on this blog [even if it is highly embarrassing at times], I figured I’d provide the truth – the REAL truth. If you’re really squeamish or easily grossed out, please do yourself a favor and skip over this post. If you do decide to proceed, however, you do so at your own risk. Please don’t say I didn’t warn you. As I had mentioned in a previous update, my new neurologist had finally ordered an MRI of the Head/Brain after years and years of me begging every other doctor I saw to have one done. Really, I just wanted to see if my symptom were really inside of my head this whole time like everyone kept telling me it was. Well, at least my brain is functioning appropriately. The neurologist decided to refer me to an ENT to see what needed to be done. After the reading the reports and looking over my long case history, the ENT didn’t originally believe that my sinuses were that bad. However, he did say that the sinus cavity is better viewed using a CT rather than MRI, so he ordered a CT scan without contrast to rule out the possibility that I might need surgery to fix my sinuses. I guess I was going to need surgery after all. The night before surgery, my occipital and posterior auricular lymph nodes suddenly began to swell and were extremely painful. I started to become really worried I wouldn’t be able to do the surgery, so I called the doctor on-call and he didn’t seem too concerned about it. He just told me to wait and see how I felt in the morning. Luckily, the only surgical prep I had to do the night before was to stop food and water 8 hours before. However, I was allowed to take all my medications on the morning of the procedure and was allowed a few sips of water to get them down. I still felt super sick that morning, although I decided to go through with the surgery anyway. Fortunately, my lymph node swelling had gone done for the most part. My stomach pain and nausea were so bad, though, that I had to take meds just to get myself into the car for the 15-minute drive to the hospital. Really, the last thing I wanted to do that morning was to have surgery but I also didn’t want to have to prep again either. However, while laying in the hospital bed waiting for the nurse to take me back for the procedure, I honestly began to regret this decision. Given the extent of the opacification and the number of procedures I was having, my surgery needed to be done endoscopically in the hospital, instead of outpatient in office as some of these procedures are. There are many ways to shrink the size of the turbinates. Surgery is typically called turbinate reduction or turbinate resection. Surgery can be performed either in the office or in the operating room. In many instances, turbinate surgery and septoplasty are performed at the same time. It is important that the turbinate not be removed completely because that can affect the function of the turbinates. Complete turbinate removal can result in a very dry and crusty nose. Occasionally, turbinate tissue will re-grow after turbinate surgery and the procedure may need to be repeated. This is preferable to the situation of totally removing the turbinate. You may hear of many different terms being used when it comes to surgery for the turbinates. Examples of these terms are cauterization, coblation, radiofrequency reduction, microdebrider resection, and partial resection. These all refer to different methods of reducing the size of the turbinates. With some of the other procedures, a portion of the turbinate is removed. It is important that enough of the turbinate be left intact so that the turbinate can warm and humidify the air that is flowing through the nose. A procedure called submucosal resection is a common technique used to treat enlarged turbinates. With this procedure, the lining of the turbinate is left intact, but the “stuffing” from the inside of the turbinate is removed. As the turbinate heals, it will be much smaller than before surgery. Sometimes, this resection can be performed with a device called a microdebrider. This device allows the surgeon to remove the “stuffing” through a small opening in the turbinate. In some instances, more of the turbinate is removed. In some instances, packing may be placed in your nose during the healing process. 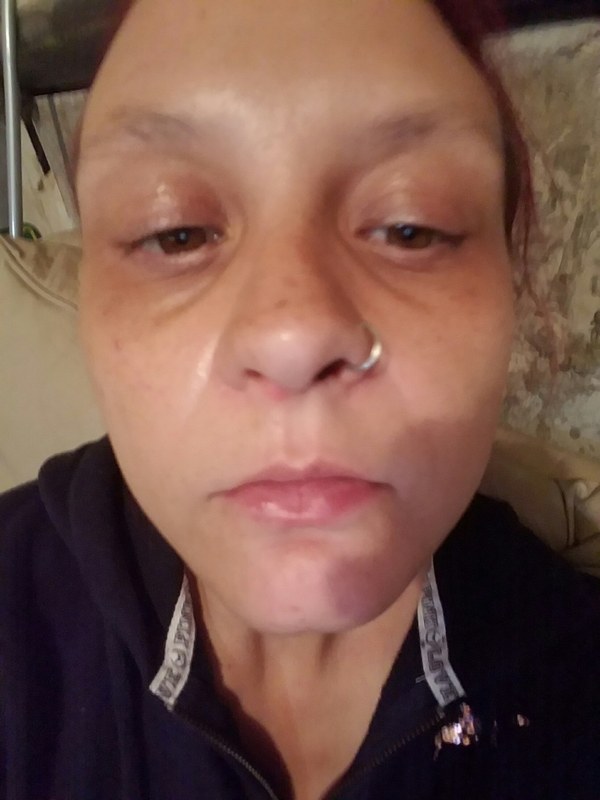 I was lucky enough to receive absorbable packing and sutures for my surgery – I heard the removal of the other kind of nasal packing and stenting is awful, though. Surgery begins with careful inspection of the nose. Key landmarks are the three turbinate bones or conchae (conchae = shell) arising from the lateral nasal wall and the ostiomeatal complex (a complex where the maxillary, ethmoid and frontal sinuses drain into the side wall of the nose). The most anterior, or nearest to the front structure within the ostiomeatal complex, is the uncinate process. This semilunar (half moon shaped) ridge of bone projects in front of the ostium of the maxillary sinus. Behind or posterior to the uncinate process, is a group of ethmoid cells known as the bulla ethmoidalis. The first step in ethmoidectomy is the careful and atraumatic removal of the uncinate process to visualize the ethmoid sinus and maxillary ostium. In our experience, incomplete removal of the uncinate process is a significant factor in leading to revision surgery. We believe that the uncinate should be removed at its attachment to the lateral nasal wall. Endoscopic view of right nose showing uncinate process (up) and middle turbinate (mt). Ethmoidectomy begins with probing the space between the uncinate process and bulla ethmoidalis known as the ethmoid infundibulum (infundibulum = funnel-like). Often complete removal of the uncinate process reveals the natural ostium or drainage pathway of the maxillary sinus into the nose. Various instruments have been designed to enlarge the maxillary ostium and remove the uncinate process. How much to enlarge the natural ostium of the maxillary sinus, also known as an antrostomy (antrostomy = to drain or make a permanent opening in the maxillary sinus to the nose), remains the subject of debate. Some surgeons prefer to only expose the natural ostium, while others routinely remove much of the maxillary sinus wall as part of this step of the procedure. All agree that the antrostomy must include the natural ostium of the sinus because mucocilliary flow is directed to the ostium and mucous may re-enter the sinus through the antrostomy. This so-called “circus effect”, which leads to reinfection of this sinus, is avoided by incorporating the natural ostium in the antrostomy. Confining maxillary sinus surgery to primarily restoring the drainage pathway of the sinus into the nose is a significant departure from the pre-minimally invasive or functional sinus surgery era. Traditionally, theCaldwell Luc procedure was an integral part of maxillary and ethmoid sinus surgery. However, the American anatomist J. Parsons Schaefer recognized that the “maxillary sinuses are often the cesspool for infectious material from the frontal sinus (sinus frontalis) and certain anterior group of cellulae ethmoidalis” (ethmoid sinus air cells). That is, Schaeffer was implying that the maxillary sinusitis was often the result of infected drainage from the ethmoid and frontal sinuses, and not the cause of infection in these sinuses. In the modern era of sinus surgery, Caldwell Luc is reserved for disease processes such as fracturs or tumors which cannot be treated through an endoscopic transnasal approach. secretion are removed. An uncommon complication of antrostomy is to injure the nasolacrimal duct (arrows) which drains tears into the nose. When such injuries do occur, the patient may have no problems because the tears drain directly into the nose at the site of injury. Less often the patient experience epiphoria or tears flowing onto the cheek. In such individuals, a dacryocystorhinotomy (DCR) reestablishes the normal drainage into the nose. Axial cadaver section through the ethmoid sinus. Enlargement outlines the infundibulum (infundibulum = funnel-like) drainage pathway of the ethmoid (yellow) which is bounded anteriorly by the uncinate process (yellow arrow) and posteriorly by the cells of the bulla ethmoidalis. After the uncinate process is removed, ethmoidectomy consist of exenteration of the ethmoid cells. From Schaefer SD et al. The combined anterior-to-posterior and posterior-to-anterior approach to ethmoidectomy: An update. Laryngoscope116:509-513, 2006. The first 24 hours after your procedure, you must have a responsible adult available to assist you. If you use oxygen at home continue to do so. It can be normal to have dizziness, drowsiness, a sore throat, headache, or muscle aches. Call your MD if it becomes persistent. Just take it easy for the rest of the day and gradually increase your activity level. You may resume showering tomorrow unless your MD tells you otherwise. Some nausea or vomiting is expected after anesthesia, call your MD if it becomes persistent. Start with clear liquids (any liquid you can see through). If no nausea, slowly return to eating your normal diet. If you are nauseated, remain on clear liquids until it passes. If your MD ordered a medicine to help with nausea, take this as directed. If you have any questions or concerns, call your MD. You have received this handout because either you have sleep apnea or your health care provider suspects you may have Obstructive Sleep Apnea (OSA). Obstructive sleep apnea (OSA) is also called sleep apnea. During normal sleep, muscles keep your throat open. This lets the air pass through easily. With OSA, the muscles and tissues around your throat relax and block or partially block air from passing through your windpipe. You may stop breathing for ten or more seconds, many times during your sleep. This causes your blood oxygen level to drop, which can strain the heart and blood vessels. This can also lead to high blood pressure, heart disease, and even death. You may wake up during the night to catch your breath. You may feel tired and sleepy the next day. You may also have a hard time doing your usual activities. It is important to know for sure if you have OSA. Follow up with your primary healthcare provider. A sleep disorders center diagnoses sleep apnea. Treatments may include wearing a constant positive airway pressure mask (CPAP) while you sleep. Other options may also be considered. The results of the sleep study will guide the right treatment. Do not have alcohol or use sedative medicine before you sleep. These allow the muscles and tissues around your throat to relax and block the airflow to your lungs. Sleep on your side or use pillows designed to prevent OSA. This keeps your tongue or other tissues from blocking your throat. You can also try raising the head of your bed or try sleeping on several pillows. Sewing a sock that holds a tennis ball to the back of your pajama top may stop you from sleeping on your back. If you have OSA, follow your treatment plan. Special devices that you put in your mouth, called dental appliances, may help. If you have sleep apnea, you may have a CPAP machine to help you breathe while sleeping. Use this during your recovery unless specifically asked not to use by your surgeon. Do not take sleep aids while taking pain medicine. If you have chest pain or trouble breathing, get help right away or call 911. Although the following set of instructions were taken directly from the John Hopkins (2016) website, they are quite similar to the directions I was provided by my own surgeon. Bleeding: It is normal to have some bloody discharge for the first 3-5 days after sinus surgery, especially after you irrigate your sinuses. If steady bleeding occurs after surgery, tilt your head back slightly and breathe through your nose gently. You may dab your nose with tissue but avoid any nose blowing. If this does not stop the bleeding you may use Afrin spray. Several sprays will usually stop any bleeding. If Afrin fails to stop steady nasal bleeding then you should call our office or the on call doctor (see contact below). Pain: You should expect some nasal and sinus pressure and pain for the first several days after surgery. This may feel like a sinus infection or a dull ache in your sinuses. Extra-strength Tylenol is often all that is needed for mild post-operative discomfort. You should avoid aspirin and NSAIDs such as Motrin, Advil, and Aleve (see below). If Tylenol is not sufficient to control the pain, you should use the post-operative pain medication prescribed by your doctor. Fatigue: You can expect to feel very tired for the first week after surgery. This is normal and most patients plan on taking at least 1 week off of work to recover. Every patient is different and some return to work sooner. Nasal congestion and discharge: You will have nasal congestion and discharge for the first few weeks after surgery. Your nasal passage and breathing should return to normal 2-3 weeks after surgery. Postoperative visits: You will have a certain number of postoperative visits depending on what surgery you have. During these visits we will clean your nose and sinuses of fluid and blood left behind after surgery. These visits are very important to aid the healing process so it is essential that you attend all those scheduled for you. There is some discomfort involved with the cleaning so it is best to take a pain medication (described above) 45 minutes before your visit. Nose Blowing and Straining: You should avoid straining, heavy lifting (> 20 lbs) and nose blowing for at least 10 days after surgery. Straining or nose blowing soon after surgery may cause bleeding. You can resume 50% of your regular exercise regimen at 1 week after surgery and your normal routine 2 weeks after surgery. Aspirin or Non-steroidal Anti-inflammatory (NSAIDs) medications: Aspirin and NSAIDs such as Motrin, Advil, and Aleve should be stopped 2 weeks prior to surgery. Aspirin and NSAIDs such may cause bleeding and should be avoided for 2 weeks after surgery. Steroid Nasal Sprays: If you were taking nasal steroid sprays prior to surgery you should avoid using these for at least 2 weeks after sinus surgery to allow the lining of the nose and sinuses to heal. Your doctor will tell you when it is safe to restart this medicine. Sinus Irrigations: You will start the sinus irrigations with the sinus rinse kits (NeilMed Sinus Rinse Kit) the day after surgery. This must be performed at least twice daily. Your doctor or nurse will show you how to perform the irrigations. At first they will feel strange if you haven’t done them before. Soon, however, they will become quite soothing as they clean out the debris left behind in your sinuses after surgery. You can expect some bloody discharge with the irrigations for the first few days after surgery. These irrigations are critical for success after sinus surgery! Just got home from surgery a few hours ago. Sadly, I look better than I feel. Although you can’t really see it in this picture, I definitely vomited in my hair a little bit – good times. It can only go up from here my friends. And, in case you’re wondering, that thing under my nose is to catch all the blood coming out from my nose. Luckily I’m not bleeding that bad – at least yet. We’ll see how the day goes. It’s true what they say about recovering from this surgery – it really does feel like you have the worst sinus infection ever. Like ever, ever. I feel like I’ve been hit in the face with a shovel and no, I’m not joking. My face is super swollen and painful today. However, I also fell behind on taking my painkillers because I slept nearly all day. My face is super swollen and painful today. However, I also fell behind on taking my painkillers because I slept nearly all day. Remind me never to do that again. Had my first follow up with the surgeon today. He said that I’m healing well and that the pathology report on all the “gunk” he pulled out of my face came back as normal. However, he also said he’s never had a patient with that much opacification have a normal report without something causing it. I’m just one of the lucky ones, I guess. Nothing odd about the way my body reacts really surprises me anymore. But I am just glad it wasn’t the result of any type of disease or a fungal infection. I still look and feel terrible, though. The doctor also did some debriding while I was at the office, so I can at least breathe a little better. My next follow-up is in three weeks from today. Left a message for the ENT nurse to call me back regarding the odd smell in my nose. Do I need another appointment? Antibiotics? Please make this smell go away! Really, the only way I can describe it is rotting flesh… or maybe meat… rotting something. There’s no way to hide from it – it’s in my nose. And every time I breathe in – I gag. God help me. THIS just came out of my nose. It looks and feels like cartilage. I know it’s not but that doesn’t make it any better. At least it’s not the blood clots I was blowing out earlier in the week. Please don’t judge me by what comes out of my face. Went back to the surgeon to make sure I didn’t have an infection, despite the fact that I just saw him a few days ago and he said everything was fine. After what came out of my face yesterday, I just wanted some reassurance. I’m happy to report that everything seems to be looking good. The doctor did say that there were some debris and crusting in the right middle meatus, which he got out using the endoscopic suction and forceps. There was also a moderate amount of mucus, so he performed some more debridement as well. Unfortunately, the grossness I was seeing [and SMELLING] is a “normal” part of the healing process. Normal… yeah, okay. There are simply no words to accurately describe the true horror of watching this come out of your own face…. I’m honestly disgusted with myself. Today was my 3-week check up since surgery. A friend of mine drove me to the appointment and had the pleasure of watching the doctor pull some of the remaining scabs out and the look on her face was priceless. She said one of the scabs he pulled out was about a half of an inch to an inch long. Lovely, isn’t it? Hopefully, I haven’t scared her away. I’m slowly starting to feel better thankfully. I still have occasional scabs coming out but they are few and far between. The scabs are also a lot less gross than they were before, although they do still smell of something terrible. I think the shape of my nose is finally looking more normal as well. Even though it has taken much longer to recover than expected, I am still hopeful that this surgery will be worth it in the long-run. I am two months post-op and, finally, I think I am almost to the point of being completely healed. I can actually breathe better and I haven’t had anything else horrific come out of my face in a while. I’ve been keeping up with the sinus rinses every day, mostly because it seems to be helping my normal seasonal allergies as well. My oxygen saturation has also been at 99% and 10o% at my last few doctors appointments, which is a huge improvement. I really hope this means that the upcoming allergy and flu seasons will be much easier than the last few years in which I had a sinus infection almost every month or two. I guess only time will tell. I reached out to you on FB messenger but haven’t received a response. You may need to check the “other folder” to find it. Thanks I am behind on online activities & emails etc, will check!